I just got back from a trip to Best Buy to fondle a wide selection of laptops. Considering they don't carry the "business" line from HP or others, there is a giant gap between the consumer laptops and the Mac Book Pro. It would be like going to a car dealer that sold Kias and BMWs (no offense to all the Kia drivers who wait with baited breath for my next awe-inspiring blog post). I spent about an hour typing on some 20 keyboards and testing the flex of the chassis and keyboard. Most were Chiclet style keyboards, which turns out to be a sub-optimal design (in my opinion) if you use more than two fingers to type. The Toshiba Portege R705 wins the worst-keyboard-ever-manufactured-in-the-history-of-bad-keyboards award. The keys are glossy plastic and flop left to right due to the incredible amount of slop in the design. They don't depress like... well, a keyboard... they sort of click with a very unsatisfying travel distance. In fact, my 4 year-old son's toy Cars laptop from Radio Shack has a much better tactile response! The chassis was thin plastic and the keyboard, the palmrest, and the screen all flexed a great deal under only minimal force. Considering it's $900 price tag (about $1,800 with a respectable amount of RAM and an SSD), I found the keyboard and chassis to be remarkably bad. The 13" ThinkPad Edge's newly designed chiclet version of the ThinkPad keyboard is surprisingly good, and by far the best of the chiclets I've tried. The laptop is a very nice blend of consumer features and professional construction, but it's closer in design to a consumer laptop, and I'm concerned it wouldn't hold up to the daily abuse of heavy user. The glossy screen is also a drawback for extended use as glare can be a real problem in certain environments (Best Buy doesn't carry the ThinkPad line, I tested this one at Office Depot). And the 13" Mac Book Pro gets an admirable-job-implementing-a-sub-optimal-type-of-keyboard aware. In all honesty, I'm pretty sure I could get used to the Mac's keyboard - despite the very shallow travel of the keyboard. The Mac shines in chassis design. The MacBook unibody is a truly incredible piece of engineering. It is very rigid, light, and incorporates only minimal machining to allow for the required ports, vents, etc. In terms of pure industrial design, nothing comes close to a Mac Book Pro. The ThinkPad x201s sports a tried and true ThinkPad design and traditional keyboard. With a 12.1" screen, it is the smallest of this group (as the x301 is now outdated, gets terrible battery life, and is absurdly expensive), but shares the same 1280x800 screen resolution of the 13" Mac Book Pro. I haven't got my hands on one of these yet, but I've seen them in the wild and they meet all the expectations of a ThinkPad. Rugged, no-frills, business focused workhorse. 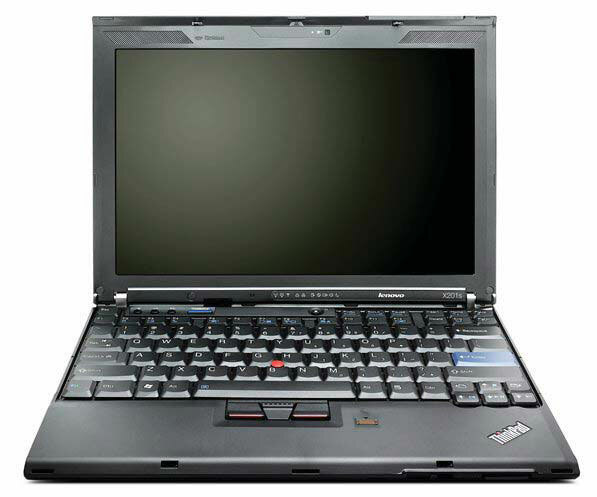 It's now abundantly clear to me, there are only two choices when it comes to quality professional grade notebooks: Lenovo ThinkPad and Mac Book Pro. My second discovery is that my belief that Macs were overpriced is completely false. You can't compare a Mac to a Dell or an Acer (not even an HP consumer grade machine), you have to compare it to the top of the line Lenovo ThinkPads (T510, x201s, x301, etc.) and then, feature for feature, the Mac is competitively priced. Damn. Not less than, not greater than, but not equal either! I've been twice bitten by this subtlety of the python __cmp__() method, I thought I'd try to save you the same pain (and perhaps by writing it down I won't repeat it... again). While I'm sure no such thing could happen, let's imagine for the sake of argument that two objects might be compared on an internal value that just might not be unique across all instances of the object. What would happen if you had to retrieve your object from a container? print "I found my Swartz!" print "...wait... this is your Swartz... gah!" Yeah yeah, you could rewrite this to yada yada, that's not the point. The point is while the values of the objects are the same, they are not the same objects and python uses the __cmp__() method for both less than, greater than, equality, AND identify comparison if you're used to thinking of your objects as pointers! print "I see my Swartz is bigger than yours..."
Apple's follow-on to the iPad, the iSmudge, will contain a moisture sensor so you can lick your thumb and "erase" stuff. Works on files, text, and those photos of your ex. The new device will ship with a monogrammed microfiber cloth to keep your screen "smudge" free. Cell Usage: What does it really cost to pick up the phone? Many of you have heard my reasoning for not having a fancy cell phone. That extra $30-$40 a month for a dataplan just seems outrageous to me. That got me to thinking about my current plan. My wife and I share 500 minutes and pay $0.20 per text for about $54 per month. We never go over our minutes and one rarely would we even break even if we upgraded to an unlimiting texting plan. My service provider would like me to think I pay $54/500 = 0.10 per minute during the Anytime minutes and that all my other calls are "Free". I don't think of my usage that way. I pay $54 dollars a month and a certain number of "communications" for that. Most of those are about 1 minute long, and to make things simple, I'll consider a "Text" to be a 1 minute call. So what is this bizarre plot to the left here you ask. Some highly technical computer modeling of some fringe science? Perhaps one of those new-fangled computer thingies we know dvhart is always going on about. Maybe some nostalgic artifact from his days studying electrical engineering? Well... no. In fact it is simply the beam plots of an over the air antenna I am looking at installing in my attic. Yeah... just trying to watch TV. Turns out that there is a lot that goes into picking up a TV signal - an awful lot. I'm a week into my search for the right antenna (or antennas as the case may be - VHF-HI an UHF bands you know), and so far I've determined that despite living within 3 miles of the two transmission towers I care about, and even though those towers are within 10 degrees of each other, I appear to be dealing with skyline multipath and some other issues resulting from living in a valley and being surrounded by lots of very large trees. Oh, and the foil backed insulation in my house really doesn't like radio waves. It's been fun, but I don't know how anyone without 5 years of intense math and electrical engineering coursework behind them would dare attempt a less than trivial antenna installation. Sheesh. No wonder nearly everyone I know pays for cable! So in case you're interested in what it would take to setup OTA DTV (over the air digital television) at your house, check out the following links. Happy Hacking. I'm a hopelessly slow reader, and it continually frustrates me, and later shames me in front of my friends. I just can't read the information fast enough to keep up with the world! I blame elementary school who had me read a grand total of I think 2 books by the time I was 12 (both involving dying dogs ... what the hell is wrong with you people?). I've been reading some things on how to improve my reading speed while maintaining comprehension, and also looking into how technology might be able to help. A colleague pointed me to SpreedNews which turns out to be awesome, and I top out at just under 500 words per minute before I simply don't remember anything about what I read. Now if the Amazon Kindel could incorporate this technology and allow me to read anything on the Kindel with this fancy rate adjustable phrase flashing awesomeness, I'd buy two... today. Unfortunately, one of the core technologies of the Kindel is their fancy pants epaper screen, which while it is great to look at and easy on the batteries, its refresh rate wouldn't allow for 20 words per minute, let alone 500. Ah well, maybe when Devon is my age he can get me a nice ereader that solves all my problems, without killing any dogs. 1. "Old Yeller" and "Where the Red Fern Grows" - both belong on the banned books shelf at my local library.